UNITED NATIONS, May 19 2016 (IPS) - While Canada’s long-awaited support for the UN Declaration on the Rights of Indigenous Peoples brought hope and celebration last week, it’s not yet clear whether the rights of Indigenous people in developing countries harmed by Canadian mining companies will also be included. For almost a decade, Ottawa had voted against the Declaration, a global set of collective human rights covering an array of indigenous issues. The Conservative government that was voted out last year claimed that the provision requiring government to consult indigenous groups before making any decision that might impact their way of life or their ability to exercise rights over traditional lands and territories would amount to a indigenous veto on major resource projects. Signing the Declaration would be ignoring the human rights of non-indigenous Canadians, it asserted. Although in a significant turnaround for Canada, Prime Minister Justin Trudeau’s government has accepted the declaration, Tauli-Corpuz cautioned that the government also has to be aware of how the numerous Canadian mining companies operating abroad are also putting a heavy toll on indigenous lives. It’s estimated that 75 percent of the world’s mining and exploration companies are based in Canada, and mining is one of Canada’s most economically powerful sectors. Activists say as a global power-player in mining it is still a long way from protecting indigenous people elsewhere from the onslaught of mining interests. 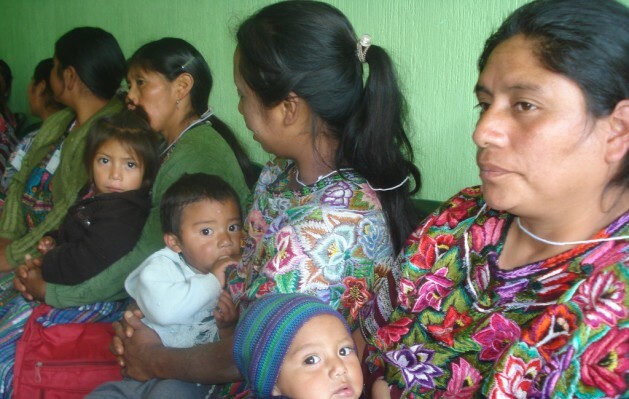 “I do not think that the idea of free, prior and informed consent is being taken seriously by the Canadian government, whether concerning mining operations within Canada or abroad” Jennifer Moore, Mining Watch’s Latin America Project Coordinator, told IPS. This central part of the declaration would not only entail consulting with Indigenous peoples but also respecting their right to consent – to say yes or no to policies and projects affecting them at every stage. “The government carefully crafted its statements last week with regard to how it would interpret the UN declaration in Canada on the domestic front to try to preclude respect for the full extent of this right, ” said Moore. She says this is because the Liberal administration is still very committed to the same corporate-driven agenda of the prior government in many ways. ‘“The Liberal government has so far been reaffirming past policies and practices of the former Conservative government concerning the globalized mining sector abroad.” she said. This lack of justice is a significant problem in Honduras, where the mining industry is mainly comprised of Canadian based companies, and the lives of those who dare to speak out about impacts on health, land, sacred spaces and their community fabric are threatened. At least 109 people were killed in Honduras between 2010 and 2015, for taking a stand against destructive dam, mining, logging and agriculture projects according to Global Witness. Of the eight victims whose cases were publicly reported in 2015, six were from indigenous groups. “Given the prominence of Canada in the mining sector in Honduras, it is fair to expect the Canadian government play a much more decisive role to contribute to put an end to such abuses,” Mercedes Garcia, Research Associate at Council of Hemispheric Affairs, told IPS. Last month, Development and Peace and Mining Watch Canada called on Trudeau to give special attention to an open letter from close to 200 Latin American and international organizations urging sweeping change to Canada’s policy regarding the global mining sector. Over 50 percent of Latin America’s mining investments come from Canada. Through a study of 22 mining projects carried out by Canadian companies in nine Latin American countries, a pattern of human rights violations related to large scale mining was discovered. “Canada’s human rights performance has deteriorated considerably, not only in the eyes of the international community, but also from the perspective of the individuals, peoples, and communities that live with the negative impacts of Canadian extractive projects,” the letter says. The letter demanded that the Canadian government ensure that their companies respect the decisions of numerous communities, Indigenous and non-Indigenous, who have said no to large-scale mining because of its severe damaging impacts on the environment and social well being. There has not been a response from the Trudeau administration about these concerns. For Garcia, Canada’s support for the UN Declaration is a sign of hope. “Signing the UN Declaration of the Rights of Indigenous People as well as the demands of civil society are very likely to prompt action,” said Garcia. John McKay, a liberal MP said he expected Canada’s new government to try Bill C-300 again soon. Bill C-300, also known as the Responsible Mining Act, was a legislative initiative that intended to tighten regulations for Canadian corporations overseas in 2010 but that was not approved. “Current Prime Minister Justin Trudeau voted in favor of the bill when he was in parliament, so it is likely that if brought to discussion, bill C-300 has a greater chance to be passed.” Garcia told IPS. congratulations to your government for recognising the plight of the indigenous people. we the people in south africa have not as near as Canada got any recognition. this is my letter to the SA government. aboriginal title to our land -Khoisan/coloured people/ khoekhoen-constitution according to the constitutional must be amended – we don’t want the traditional affairs bill or ANY LAW TO BE PASSED WITHOUT OUR CONSENT. back what was ours. THE TIME HAS COME.